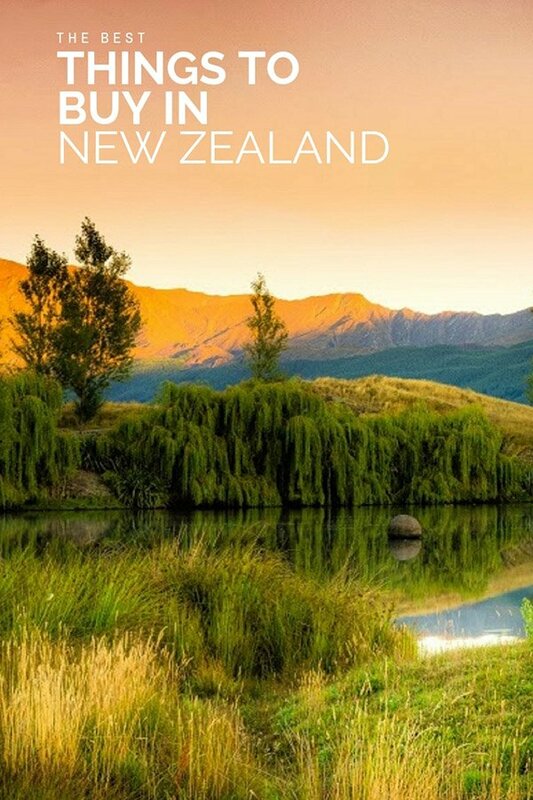 If you are looking for what to buy in New Zealand, on your upcoming trip or if you want to send some New Zealand souvenirs to friends and family, then you are in the right place. 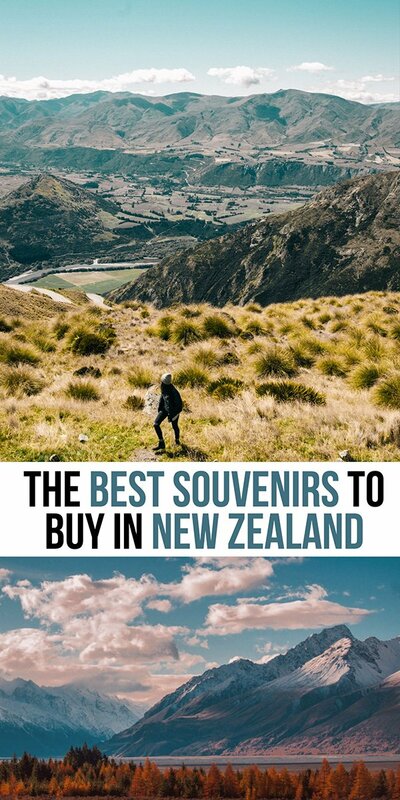 When I roadtripped New Zealand earlier this year with my kids, we took some time to find the best things to buy in New Zealand as keepsake from our visit. We always try and find a flag from the country we are visiting and I let the boys choose a few things for their shelves at home. We are also often buying gifts for friends and family back home. A Sheepskin is the first thing on my list of the best things to buy in New Zealand. There is about 7 sheep to every person in New Zealand and you will see hills and hills that are dotted with white sheep as you travel the country. You can buy these all over the North and South Island. You list of what to buy in New Zealand should include some popular snacks that you will have a hard time finding anywhere else in the world. Things like pineapple lumps, jaffa chocolates, ginger nuts, marmite and Watkins chocolates are a few things to look out for while you are in a New Zealand grocery store! New Zealand is known around the world for its wine. You can pick some up at the Duty free shop in Auckland before you even come into New Zealand and you can also buy it everywhere. There are plenty of wineries to taste the latest wines right in the vineyards. Wine is one of the popular gifts to bring home from New Zealand. Check with your home country for importation rules for bringing wine back home with you. If you are not a wine person, check out L&P! New Zealand is known for its beautiful “Pounamu” or Greenstone. Known to the rest of the world as jade, you can find intricately carved necklaces that make beautiful NZ souvenirs. The jewelry are a homage to the art, design and culture of New Zealand. They reflect the historical accounts of Maori life and their rich mythological and spiritual beliefs. This is especially popular with moms and kids. 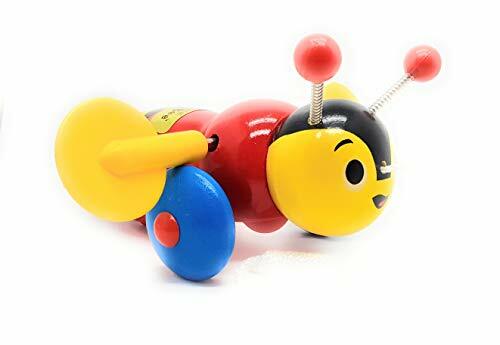 Anyone who grew up in New Zealand probably had a buzzy bee toy. They evoke strong childhood memories and are one of the popular things to buy in New Zealand for babies and toddlers! New Zealand Paua Shell is a species of the Abalone mollusc that is unique to New Zealand. Its meat is a local delicacy and its beautifully coloured shell is usually used for making jewelry. Earrings, Bracelets, and necklace pendants are often inlaid with the New Zealand Paua shell. New Zealand is home to MiddleEarth and many Lord of the Rings fans flock to see the filming locations that were used to recreate JRR Tolkien’s books. There is even a complete itinerary for those who want to explore all of the locations! Whether it is near Waikato in Matamata (home of the shire and the Hobbiton Movie set) or Nelson Tasman, (where you will find the home of the goldsmith who made the rings for the movies,) there is so much to explore for movie fans. You can buy 9 and 18ct gold replica’s of the rings right from Nelson Tasman. Merino wool comes from New Zealand sheep who inhabit the South Island. They live through frigid winters and hot summers and they are known as one of the most ancient breed of sheep and one of the toughest. Merino differs from regular wool in a few ways. While traditional wool is warm, it is also heavy, bulky and takes forever to dry (and not to mention itchy). Merino is super lightweight, soft, NOT ITCHY, warm in the cold, cool in the heat and resists door. Superior to wool, it is also superior to synthetics which are also lightweight and not itchy, but they feel wet and clammy, do not resist door and are petroleum based. Merino has become a world-renowned base layer and also makes a variety of clothing, scarves and gloves. Manuka honey is made from the nectar of the Manuka plant that grows in New Zealand. The bees collect and transform it into this highly valued honey which can only be made for a few weeks a year when the Manuka plant is in flower. It is known for its antibacterial properties that likely comes from its high concentration of Methylglyoxal. It is also thought to have antiviral, anti-inflammatory and antioxidant benefits. New Zealand is made up of many unique geothermal areas, especially the region around Rotorua. The geothermal mud is thought to have healing properties for skin disorders and at the very least, offer an amazing exfoliation treatment which cleanses and detoxifies the skin. The Kiwi bird is the unofficial symbol of New Zealand. This unique nocturnal creature is elusive to most, but can be seen at a few kiwi sanctuaries. I highly recommend you visit one like Rainbow Springs in Rotorua to learn about the kiwi and why it is so susceptible to predators. You can find kiwi merchandise all over New Zealand, but if you get to see a live kiwi, that is a real treat! 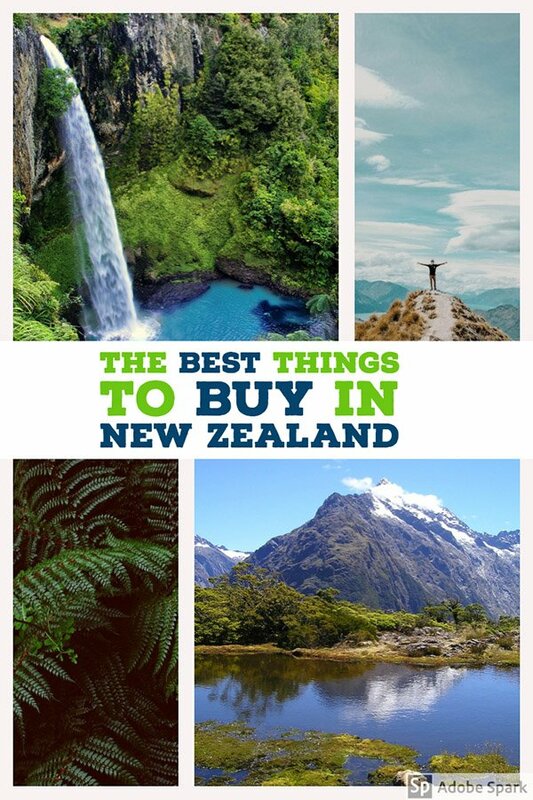 There are so many things to buy in New Zealand as a keepsake from your trip, or to bring home for loved ones, or even to send overseas if you live in NZ. I hope this list of New Zealand souvenirs helped you come up with some ideas of things to buy! 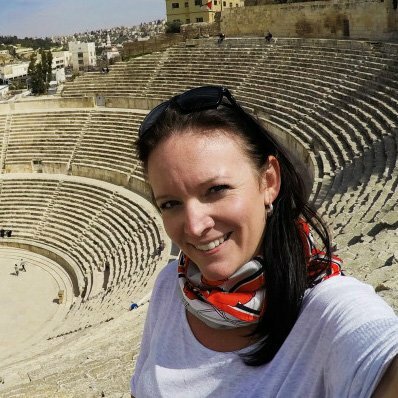 If you liked this, check out more in the series on Egypt, Turkey, Greece or Canada!